I'm a pianist, ambient sonic artist and composer and I would like to put together a dark ambient, doom Jazz that plays a range of compositions i have written and new works for my PhD research which is both performance and composition based. Im open to interpretation of pieces chosen and my compositions. My compositions blend latin, jazz, ambient, free and psychedelic elements with dark ambient, doom and similar sound worlds. I would be looking to record, release music and tour/gig as part of my PhD research. if your interested and wanting to chat then please get in touch. Im looking at any instruments that add to what I already do and bring new ideas to the table. This is an exciting time with lots of growing interest from various sources. 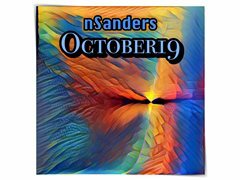 So come aboard the mad ship nSanders Trio or however many we end up with. All applications will be considered.